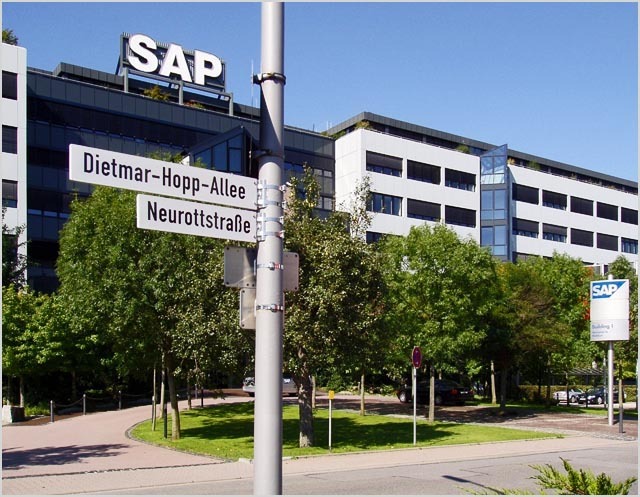 news Germany software giant SAP today revealed it would offer its HANA real-time business intelligence package on a cloud basis from a Sydney datacentre, in a move which calls into question a local hosting HANA relationship launched with HP in Australia just nine months ago. SAP’s HANA package is an in-memory appliance which takes SAP’s software and mashes it up with server, storage and networking hardware to support real-time transactions and business intelligence. The package has traditionally been offered as an on-premises deployment. However, over the past year, SAP has gradually started pushing the package towards clients on a ‘as-a-service’ basis. For example, in August last year, the company announced the HP as-a-service solution for HANA, with the package to be available from HP’s Australian datacentre facilities. “The HP As-a-Service Solution for SAP HANA bundles the SAP HANA software license along with hardware and ongoing management into a complete solution provided in a cost-effective, as-a-service model. The as-a-service model allows clients to avoid capital expenditure and lower the total cost of ownership—clients simply pay a monthly subscription fee for the total solution,” HP and SAP said in August 2013. In a new, solo statement issued today, however, SAP Australia noted that it was also planning to offer HANA as a service from an Australian facility itself. More than 3,000 organisations globally run SAP HANA as their platform for real-time business applications. With the new data centre, the vendor said, SAP is addressing the requirements of many Australian businesses and agencies that are eager to apply the real-time capabilities of in-memory computing but who have concerns about hosting data offshore and the capital expenditure of an on-premise deployment. The capacity of the SAP HANA Enterprise Cloud data centre is highly scalable to meet customer demand, according to SAP, with both SAP HANA servers and application servers. The centre will open on April 3, 2014, certified across industry standards, including ASIO T4, ISO 27001 and ISAE3402. SAP also offers a portfolio of services to support organisations in adopting or migrating to SAP HANA Enterprise Cloud, including assessment, on-boarding and migration, infrastructure hosting and application management services. The company plans to engage its extensive ecosystem of partners in the delivery of these services in the future. SAP Australia currently also offers locally hosted cloud capabilities for its SuccessFactors solutions, part of the SAP for HR portfolio, and for its cloud-based ERP suite, SAP Business ByDesign. A few things are going on here. Firstly, it appears as though SAP’s much-publicised HANA partnership with HP in Australia is not going that well. If it were, the company wouldn’t need to start offering its own first-party solution from its own datacentre in Australia, in direct competition with HP’s offering. After all, it would still be getting software licensing revenues under that scenario. What this launch illustrates, coupled with other recent individual moves which SAP has made into the Software-as-a-Service and cloud computing markets in Australia, is a growing realisation by this major vendor, which has traditionally been very wedded to on-premise deployments of its technology, that it is going to have to jump on board with the cloud computing revolution or watch its market share be eroded. I suspect that SAP is currently tracking a future where most of the deployments of its popular software suites are deployed in cloud computing environments, rather than on-premises. This, in itself isn’t really a problem for SAP, but the widespread availability of rival platforms such as NetSuite and Salesforce.com, which are primarily cloud platforms, definitely is. SAP needs to show corporate customers that it, too, has its feet squarely in the cloud, rather than being pigeonholed as an ‘on-premises’ vendor, and this HANA announcement is part of that. In any case, it’s good for Australian customers to have more options, and great that SAP is showing more flexibility in its deployment model locally. Given the large number of government customers SAP has in Australia (with their sensitivity around data sovereignty), the company has to support local infrastructure.